First Insight surveyed consumers and senior retail executives on consumer shopping habits, purchase behavior and influences driving decisions. The surveys revealed that while quality of products is most important to consumers, pricing plays a significantly more important role in how consumers make purchase decisions than senior retail executives realize. 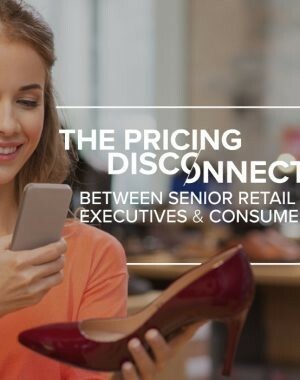 Furthermore, many senior retail leaders are out of touch with the importance of discounts, coupons and promotions in-store, as well as the importance of emerging technologies consumers are embracing to research pricing. The impact of this disconnect will only continue to grow as prices rise due to tariffs. As retailer and brand decision makers work to understand consumers’ perceptions to ensure they’re able to continually attract today’s consumers with the right price-value equation, interest in voice-of-consumer analytics and predictive analytics were ranked as top technologies for senior retail leaders, with many planning to invest in them in the coming year.